The explosion killed at least two people and injured up to 70 as a section of the thoroughfare collapsed, police said. In this frame grab taken from a video released by the Italian police, the moment a truck that was transporting flammable substances explodes after colliding with another truck on a highway in the outskirts of Bologna, Italy, Monday, Aug 6, 2018. 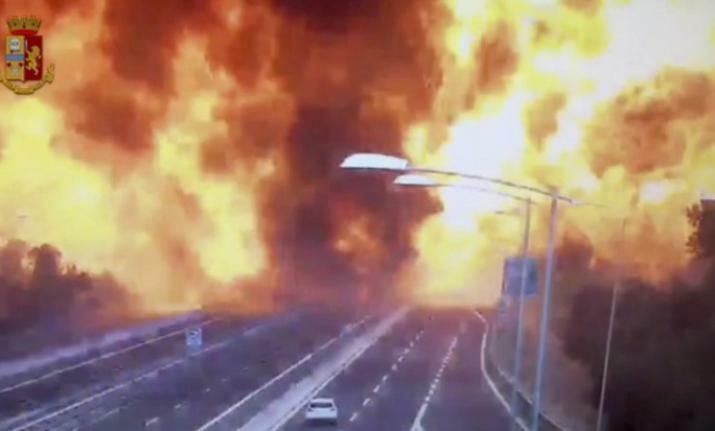 Milan: A tanker truck carrying a highly flammable gas exploded Monday after rear-ending a stopped truck on a crowded highway near the northern Italian city of Bologna. 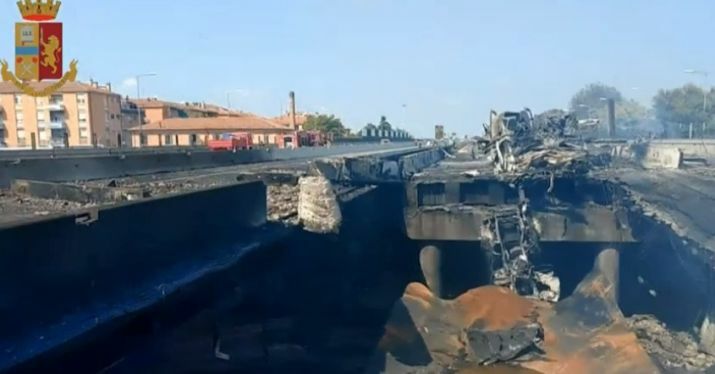 At least two people were killed, up to 70 injured and part of the raised expressway collapsed in the fireball. 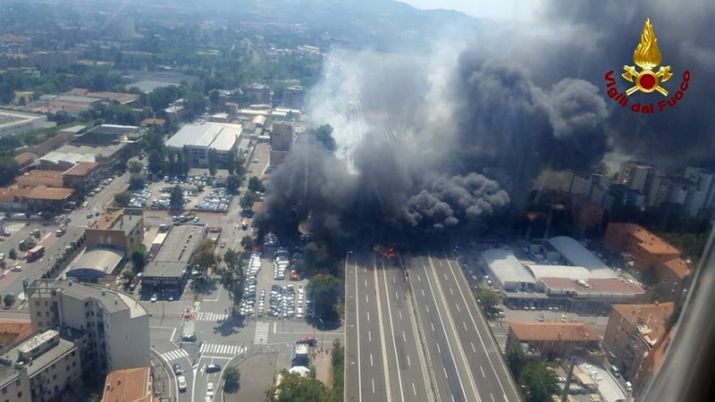 In this photo released by the Italian firefighters, an helicopter view of the explosion on a highway in the outskirts of Bologna, Italy, Monday, Aug 6, 2018. The blast collapsed a part of overpass.